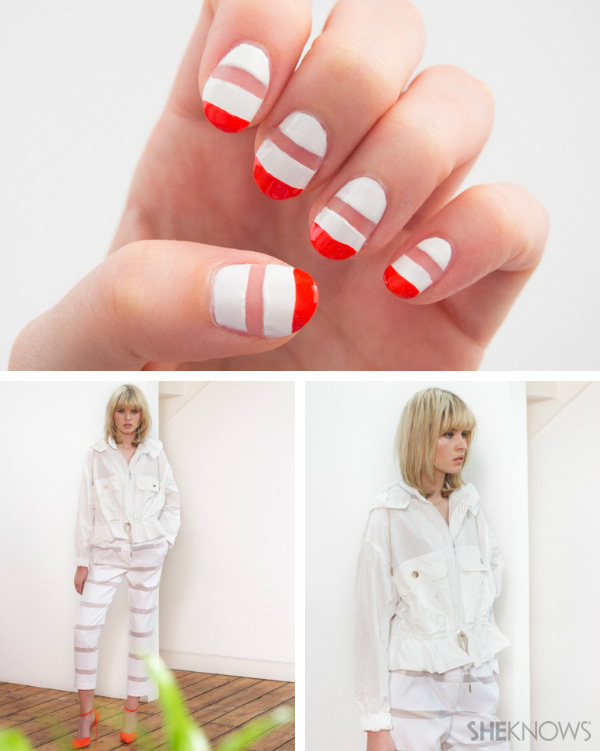 Inspired by a look from Isa Arfen, Spring 2014, these alternating white and natural nail stripes are finished with a red French tip. Begin with a white base coat. Don’t let it dry because it will be easier to wipe away some of the polish while it’s wet. 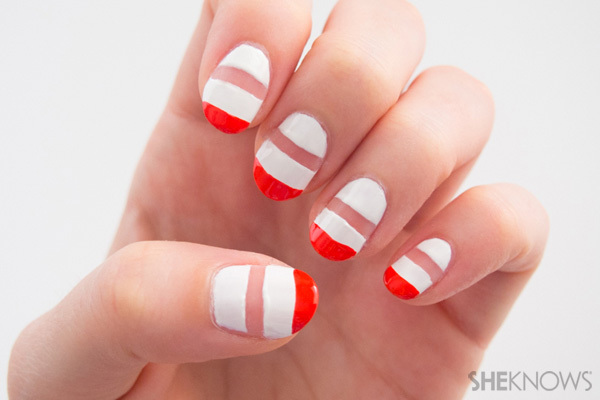 Dip the Q-tip into nail polish remover and swipe it horizontally across your nail to take off the polish in that stripe. Go over it a few times with a fresh Q-tip dipped in remover to make the line perfect. Repeat for all your nails and then let the nails dry. 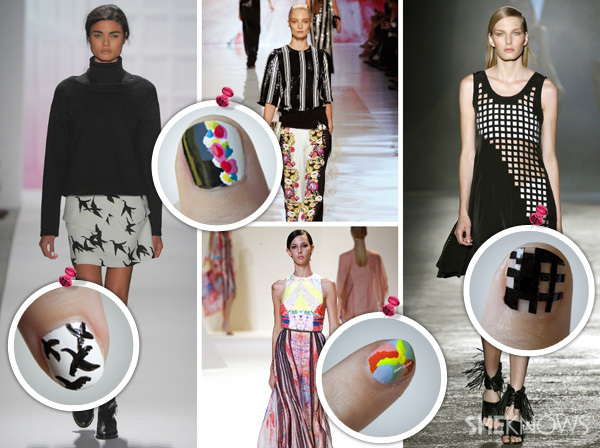 Take the red polish and brush a line across the tips of each of your nails. Let dry and finish with a top coat.